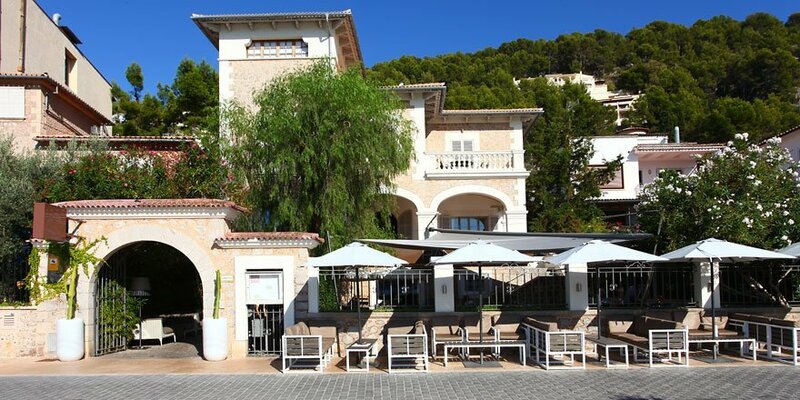 The restaurant team at Randemar offers a complimentary glass of cava when booking a table for lunch or dinner. Just add MallorcanTonic FREE CAVA in the subject box. 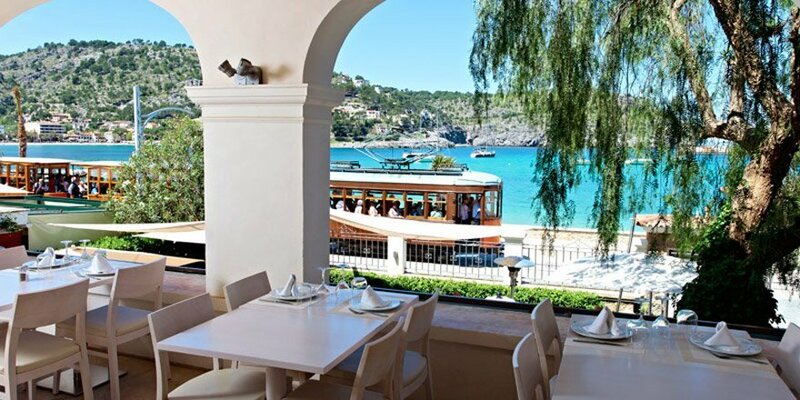 Situated slap bang in the middle of the Port de Sóller with sweeping views around the entire bay Restaurante Randemar is in a truly enviable position. The majestic stone villa which the restaurant occupies has nothing to interrupt those sublime views other than the 100 year old tram which clickety clacks around the bay. 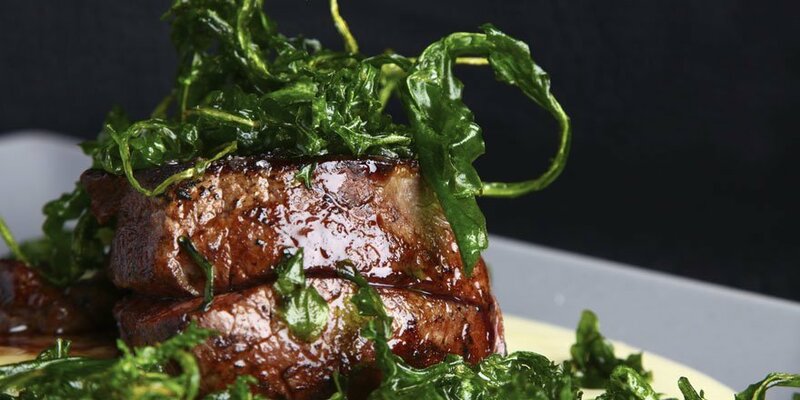 Owners Toni Oliver and Cristina Egurrola have created an über cool and contemporary restaurant. Upstairs on the first floor there is an indoor dining area for cooler days, with stylish white decor, Louis 14th dining chairs and chandeliers with floor to ceiling windows to enjoy those magnificent Mediterranean views. 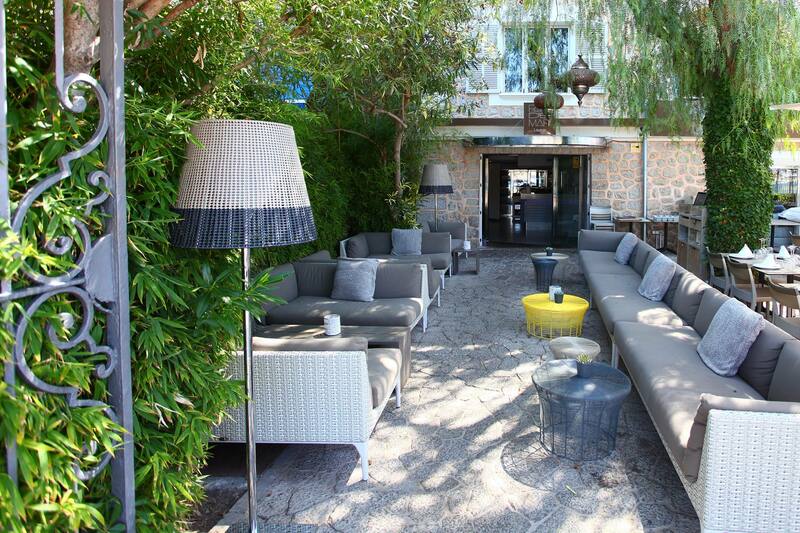 As well as a small outside terrace on the first floor, the main dining area is on the terrace in front of the villa, which also accommodates a chill-out zone complete with sofas and Moorish lighting with cool background music adding to the ambience of relaxation. 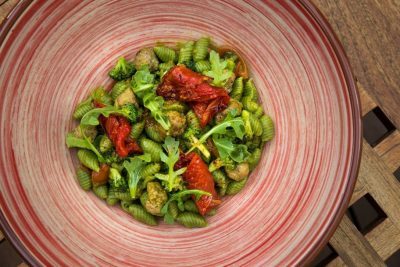 Chef Alex Viada, who has been at the restaurant a number of years, prepares traditional artisanal pasta and rices dishes, wood-oven pizzas, fresh fish, grilled seasonal vegetables and all deserts are home-made. The cuisine is accompanied by an excellent wine list offering both Mallorcan wines and wines from the mainland. The staff are efficient and friendly and, whilst you choose from the menu, you will be brought bread, homemade garlic alioli and a selection of olives and pickles. If you feel like trying something different then order the chilled cucumber soup with yogurt, mint and avocado, delicious, followed by seabass served with brown rice and sweet potato puree. So why not enjoy a long lazy lunch at Restaurant Randemar , a cocktail (and they have a very extensive list) a pre dinner drink or a sunset dining experience. Eating by the water gives a memory that extra special shine so make sure to book a table a Randemar next time you visit.